EEBIC Workspace rents out offices in a new environment-friendly, completely passive green building. 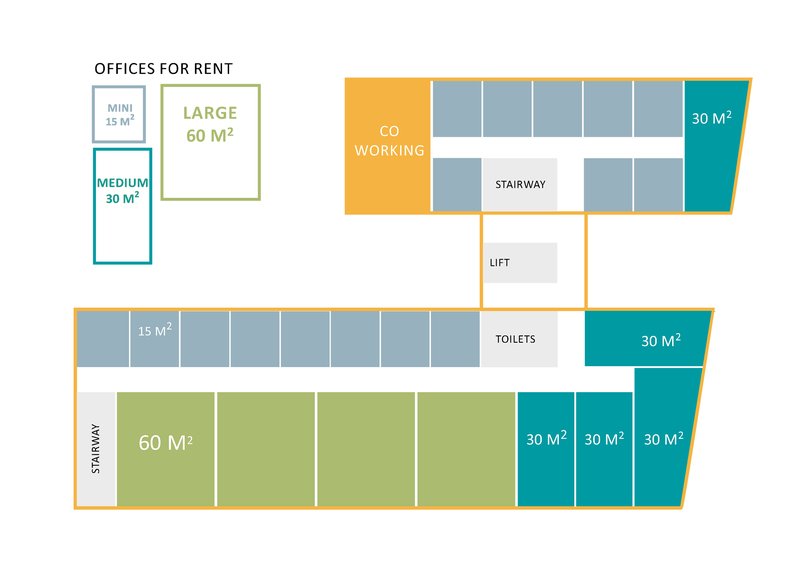 The office spaces are cost-efficient, all-inlusive and modular, so you can adjust them to match the size of your company. EEBIC is conveniently located near Brussels, easily reachable by metro and car. The private offices are accessible 24/24. Our private office rental contracts are flexible. Agreements are for an indefinite period, but can be terminated by giving a 3 months’ notice.